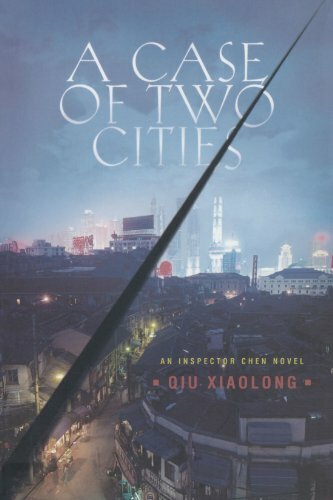 The translator, poet and author of the best-selling Inspector Chen series, Qiu Xiaolong, says there is no one road when it comes to translating Chinese poetry. He chooses five anthologies that capture its magic. Qiu Xiaolong was born in Shanghai, China. 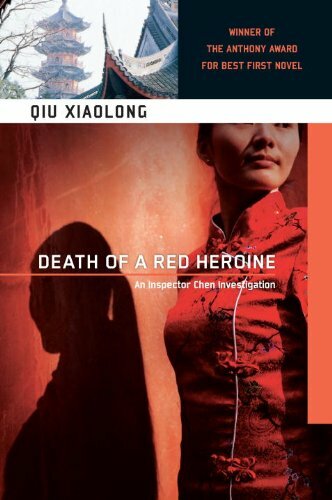 He is the author of the award-winning Inspector Chen series of mystery novels, Death of a Red Heroine (2000), A Loyal Character Dancer (2002), When Red Is Black(2004), A Case of Two Cities (2006), Red Mandarin Dress (2007) and The Mao Case (2009). He is also the author of two books of poetry translations, Treasury of Chinese Love Poems (2003) and Evoking T'ang (2007), and his own poetry collection, Lines Around China (2003). 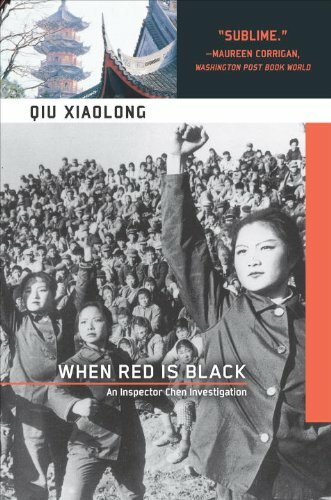 Qiu's books have sold over a million copies and have been published in twenty languages. 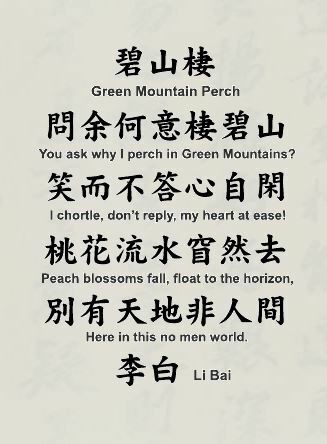 Is it very difficult to translate Chinese poetry into English? 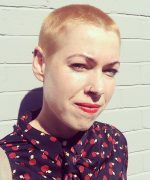 Tell me a bit about the challenges. It is difficult, but also interesting because it is so difficult. English and Chinese can be such different languages. As a result, there are all kinds of theories, schools and practices regarding the best way to translate Chinese poetry. Especially because classical Chinese poetry is rhymed and each line consists of five or seven Chinese characters, not to mention a specific tone pattern involving each character in the line. Some translators try to reproduce this by rhyming the English or using the iambic five feet to correspond to the Chinese original. Other translators don’t want to do that, not only because it’s very difficult to do but also because it means you have to sacrifice other things. You can keep the rhyme, but in order to be able to do that, the meaning of the poem changes. You can keep one particular line to five feet, but then you may not be able to convey the exact meaning of the original. Some translators focus on the translation being poetic, some focus on the translation being really loyal to the exact meaning or to the original rhyme pattern. You have to choose the road for yourself. Your first choice is Arthur Waley, A Hundred and Seventy Chinese Poems. He was really a pioneer in the field? He wasn’t the earliest, but if you’re talking about his overall achievement he is definitely a pioneering figure. Especially for me. 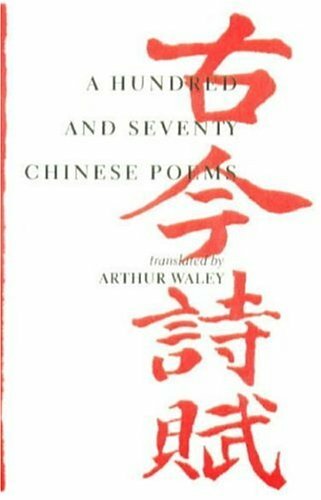 When I first started reading classical Chinese poetry in translation, the books that I could get were all by Arthur Waley. There were other translators before him, but in terms of the quality of translation Waley was the best. Tell me about the 170 poems he’s chosen. He uses one term, “poetic form”. What it means is that it’s not enough to convey the meaning of the original. He actually translated a lot more poems, but if he thought the translation was not up to the standard of poetic form, then he didn’t include the poem in his collection. That is something that made a great impression on me, in my own translations as well. Whether I’m translating my own poetry or a well-known poem, if for one reason or another I’m not happy with it in the target language, then I won’t include it no matter how good the original is. I can convey the meaning, there’s no question about that. But that’s not enough. On to Burton Watson. 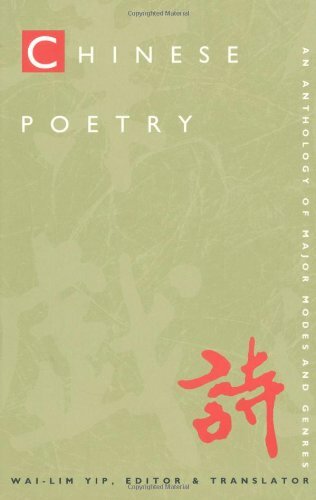 So he’s translated 100 poems by the Tang poet Han-Shan. He translated a number of collections but this is one of his translations I read first. I like Burton Watson’s translation because it’s both scholarly and good literature. He does a lot of research, so the translation is really reliable; he has lots of notes and it’s clearly a work of scholarship. But at the same time it’s not an academic translation with so many notes that the poem itself is hardly readable. He is a very good combination of scholarship and literature. For people who don’t know Han-Shan, do you want to say a bit about him and his poems? He was a hermit, who lived in the mountains? Ironically, Han-Shan is better known out of China than in China, mainly because of translations like this. Han-Shan was a good Tang dynasty [AD 618-907] poet, but not that well known. But in English, if you’re talking about classical Chinese poetry lots of people immediately think of Han-Shan. That’s interesting, and to the credit of the translators. Who would Chinese people say is the most famous classical poet then? For the Tang dynasty people would immediately say Li Bai (also spelt Li Po). Han-Shan, if you want a number, would be maybe number 20 or 30 – he wouldn’t even make the top 10. Li Bai also appears in some of these anthologies you’ve chosen. 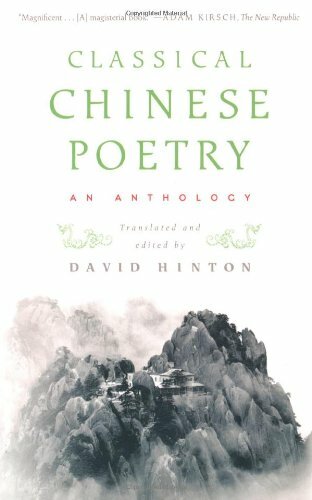 Will you talk a bit about the David Hinton’s book, Classical Chinese Poetry: An Anthology. 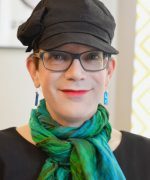 I met David Hinton in October at a conference at Harvard and I read his translation. The thing that struck me is his language. Some translators try to make the language a bit dated – English which is almost not like modern English. 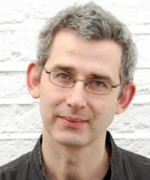 With Arthur Waley, you wouldn’t say his language is archaic, but it’s still not like the living language you use today. David is trying to render the translation with a modern sensibility. The language is so fresh! I like that. Of course he has to describe in English things in classical Chinese poetry, no question about that. But the language he chooses for this job is very modern. Can you give an example? Read me one of his translations you like. and you wonder how that could ever be. to explain it, I forget words altogether. 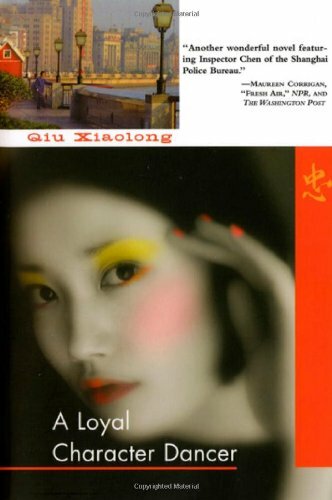 Next you’ve chosen Wai Lim Yip, Chinese Poetry, An Anthology of Modern Modes and Genres. This is also a very interesting collection. First he gives you the text in Chinese. That part is not that different from some other bilingual editions. Then he gives you a translation, word-by-word. In Chinese poetry there are seven Chinese characters per line, as I mentioned. Also, in the Chinese language, it’s difficult to say whether a character is a noun or a verb or an adjective. Or whether the line has a subject or not. So what he does is he gives you the Chinese character and then the English word equivalent to that, underneath. So seven English words underneath. Of course this is hardly readable, but he just wants you to see how the Chinese language works. Maybe in Chinese we don’t have conjunctions, maybe our verbs don’t have tenses, maybe this line doesn’t have a subject. But he wants you to see. And then he gives you a third version, which is a translation, just like Waley’s or Watson’s – his own translation. Even if you don’t speak Chinese it helps you see just how minimalist the Chinese language is. Yes. Sometimes I even want to call his approach deconstructionist. He deconstructs each line by syllable – the equivalent of each Chinese character – without worrying about the meaning, or the syntax or the grammar of English. In this way he is able to show the subtle way in which Chinese poetry works. Lastly you’ve chosen a website, Mountain Songs, set up by Gary Flint. For a few years he worked and lived in Shanghai, where I met him. We would talk about poetry and poetry translation over dim sum, but he passed away over a year ago. I chose his website because he so selflessly dedicated his time, energy and money to create it. He collected translations by other translators, and also published some of his own. The website is still available because a friend of his, in memory of him, is keeping it up. Poetry translation is difficult, and he did it simply because of his passion for it. Anybody who loves Chinese poetry can go to the website. So I felt I had to mention it in his memory. The website also has photos, so you see the places the poems are describing. 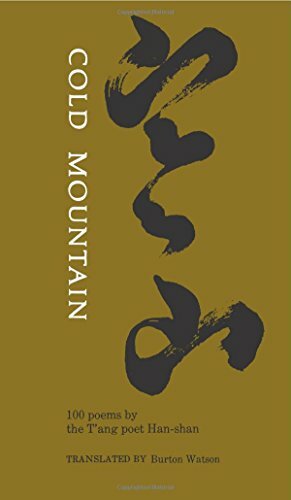 For example you can look up Huang Shan (Yellow Mountain), see a picture and where it’s located on Google maps and then read poems about it. Yes, they did a wonderful job. Why do you think classical Chinese poetry still speaks to us – across so many millennia and a completely different culture? I think it’s because it expresses something that is universal. We have this universal feeling, and to hear it expressed in such a different way is special. And it’s not only like this for western readers. It’s also true for a Chinese person like me. Today, our modern poetry is completely different. We can’t write this kind of poetry anymore. Perhaps it was a form that was only reachable at certain points in history, that reached its perfect peak. Chinese people today, especially kids – even if they don’t understand the meaning they recite the poems, and it appeals to them in a lot of different ways.